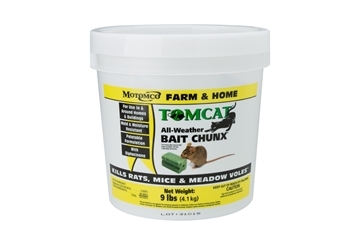 Motomco has nearly 40 years experience in the development of proprietary rodent bait formulations. Their team of biologists and chemists utilize state of the art facilities to carefully craft and test each formula to maximize bait acceptance. An extensive array of high quality, food-grade ingredients are used, many of which are purchased in small batch quantities to ensure freshness. They synthesize their our own active ingredients to ensure their purity and consistency. 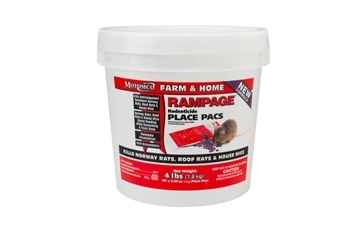 Hog Slat offers Motomco rodenticide in extruded block and pellet form, including Tomcat®, Hawk®, Jaguar®, Rampage®, Eraze™ and the Agrid3™ Organic bait formula. 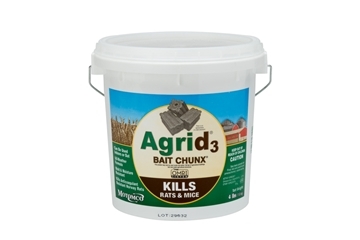 Perfect for use in bait stations around your premises. 9 pound bucket of 1 ounce blocks (144 baits). 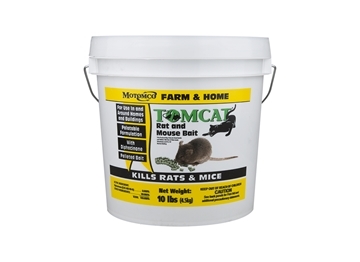 Tomcat is an economical bait choice for day-to-day control of recurring rodent problems. 10 pound bucket of loose pellets, excellent for burrowing applications. 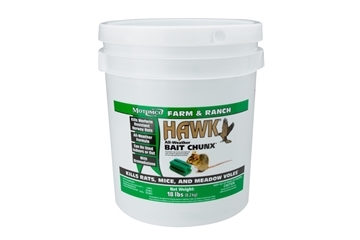 Hawk is a consistently reliable, single-feed bait choice for everyday control of recurring rodent problems. All-weather blocks are mold and moisture resistant. 9 pound bucket of 1 ounce blocks (144 baits). 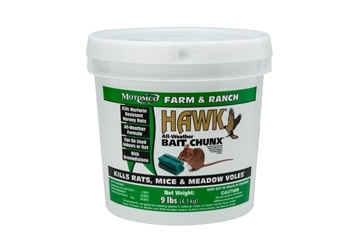 Hawk is a consistently reliable, single-feed bait choice for everyday control of recurring rodent problems. All-weather blocks are mold and moisture resistant. 18 pound bucket of 1 ounce blocks (288 baits). 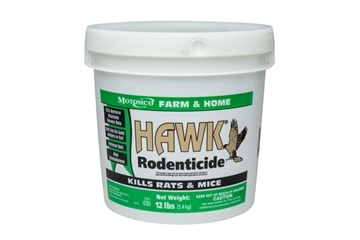 Hawk® loose pellets for mouse and rat control. 12 pound bucket. 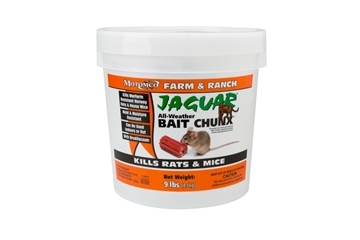 Depend on Jaguar for proven results on a wide range of rodent populations. All-weather blocks are mold and moisture resistant. 9 pound bucket of 20 gram blocks (200 baits). 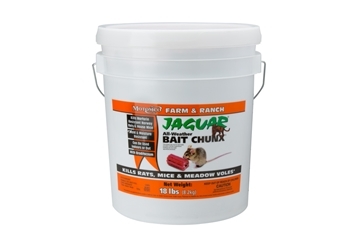 Depend on Jaguar for proven results on a wide range of rodent populations. All-weather blocks are mold and moisture resistant. 18 pound bucket of 20 gram blocks (400 baits). 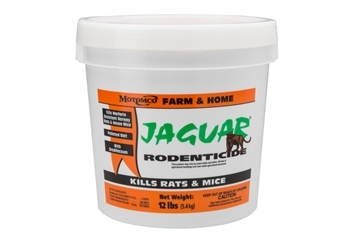 Depend on Jaguar for proven results on a wide range of rodent populations. 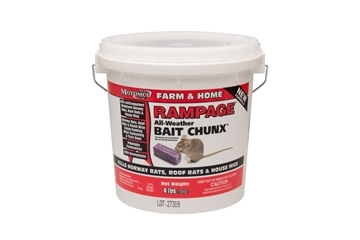 Perfect for use in tight areas, walls or burrows where traditional baits are not suitable. 12 pound bucket of loose pellets. Bait blocks are denser and contain Motomco's latest preservative package, which increases their mold, moisture, and heat resistance. 4 pound bucket of 15 gram blocks (120 baits). 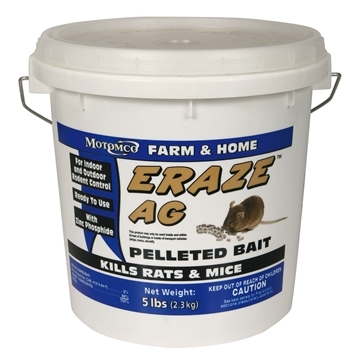 The first and only rodenticide registered by the EPA for use in organic production. 5 pound bucket of loose pellets that produce effective knockdown during clean-out.